Trump’s senior advisers and ambassadors hold pro-Israel views with no counter view seemingly present. 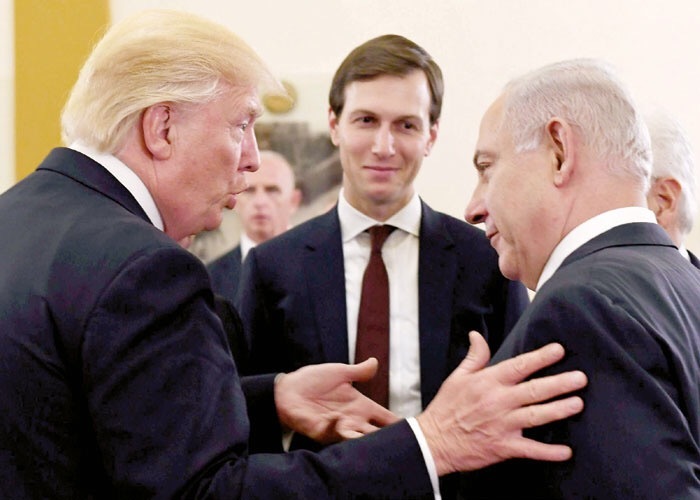 While there were calls from Israeli Prime Minister Binyamin Netanyahu for Trump to demand that the Palestinian Authority stop payments to families of prisoners and those whom Palestinians consider martyrs, Trump did not do this publicly. Trump spent a day in Israel meeting with its leaders and minutes in Bethlehem meeting with Abbas. Initial reports indicated positive meetings in both areas but recent revelations about Trump’s meeting with Abbas suggested that he yelled at the Palestinian leader, accusing Abbas of “deceiving” him about the Palestinian Authority’s role in inciting violence against Israel. However, for that to happen, Trump needs to be provided with advice that represents the conflict in a balanced manner. His Middle East adviser during his campaign was Walid Phares who is of Christian Maronite Lebanese heritage and well-known for his pro-Israel stance. Trump had no adviser on his team who could provide a pro-Palestinian view. Since his election, Trump has surrounded himself with advisers on the Middle East who were likely to hold views closer to the Israeli position. His senior adviser on the Middle East is his Jewish Orthodox son-in-law, Jared Kushner. The son of holocaust survivors, the real estate mogul’s family has donated tens of thousands of dollars to the illegal West Bank settlement of Bet El. Trump’s special representative for international negotiations is Jason Greenblatt, his company lawyer from New York who is an orthodox Jew. He does not see Israeli settlements as an obstacle to peace and does not think the United States or any other party should try and impose an agree­ment on Israel. Trump’s pick as ambassador to Israel is David Friedman, an orthodox Jew and bankruptcy lawyer, who is committed to the settlement enterprise and advocates moving the US Embassy to Jerusalem. 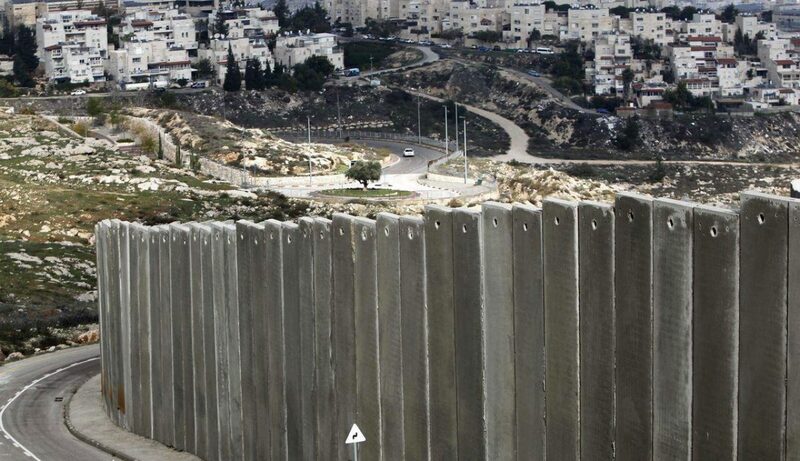 He, too, does not believe the settlements are an impediment to peace or that annexing the West Bank would compromise Israel’s Jewish or democratic character. An assessment of Trump’s team reveals that his senior advisers and ambassadors hold pro-Israel views with no counter view seemingly present. 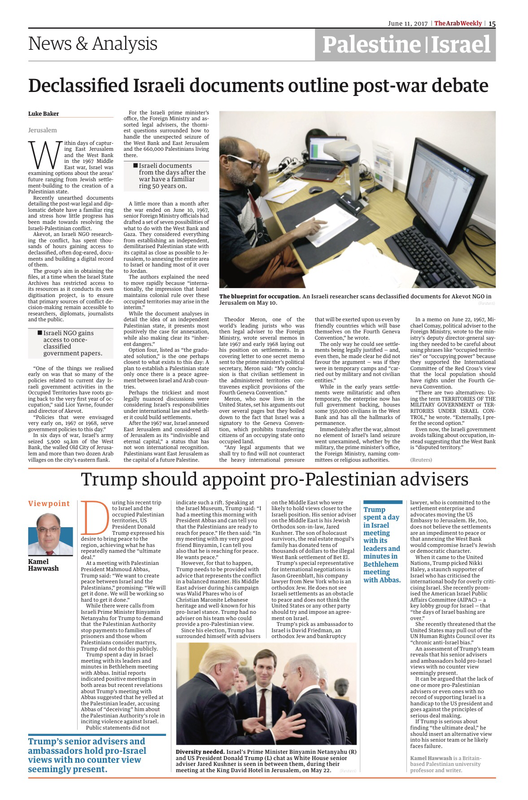 It can be argued that the lack of one or more pro-Palestinian advisers or even ones with no record of supporting Israel is a handicap to the US president and goes against the principles of serious deal making. ﻿If Trump is serious about finding “the ultimate deal,” he should insert an alternative view into his senior team or he likely faces failure.